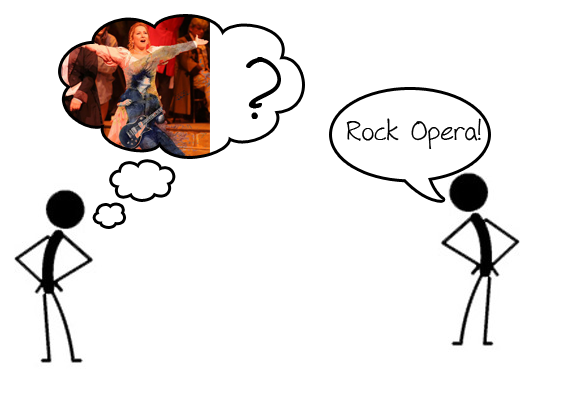 And here’s episode III of my rock operas series! This time I bring you something quite different, and I’ll enter Miguel’s territory (musical films) for a while. Without further delay, here is Jesus Christ Superstar! You probably all have heard about Lord Andrew Lloyd Webber, the creator of The Phantom of the Opera, Evita, Cats, Sunset Boulevard among other musicals (if you haven’t already, you should definitely check these ones out, especially you Miguel) and of Jesus Christ Superstar. This was his first really big production (maybe if we don’t count Joseph and the Amazing Technicolor Dreamcoat), with a very good cast. It started off by a studio album in 1970, a rock opera, and then went to Broadway and a film was made in 1973. As its name says, this recounts, in a somewhat free way the last week of Jesus Christ life. But don’t feel set aback by the theme, as both the album and the movie are very, very good. The musical starts off with two songs, Overture, which looks like a “making of” of the movie itself and Heaven on Their Minds, sung by Judas Iscariot. T he musical is based very loosely on the Gospels’ account of the last week of Jesus’ life, beginning with the preparation for the arrival of Jesus and his disciples in Jerusalem, and ending with the crucifixion. It highlights political and interpersonal struggles between Judas Iscariot and Jesus, struggles that are not in the Bible. The resurrection is not included. It therefore largely follows the form of a traditional passion play. The work’s depiction offers a free interpretation of the psychology of Jesus and the other characters. A large part of the plot focuses on the character of Judas, who is depicted as a tragic figure who is dissatisfied with the direction in which Jesus steers his disciples. 20th-century attitudes and sensibilities as well as contemporary slang pervade the lyrics, and ironic allusions to modern life are scattered throughout the depiction of political events. Stage and film productions accordingly feature many intentional anachronisms. 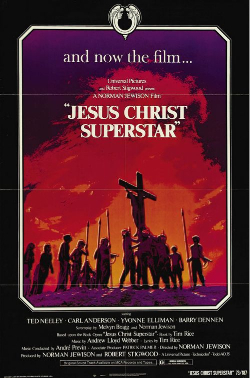 On the album, Ian Gillan, of Deep Purple fame, plays the role of Jesus, but on the subsequent Broadway productions and on the movie, the role is given to this man on the poster, Ted Neeley. Judas is played on the film by the great Carl Anderson as next video’s performance shows. Hope you liked yet another long post, and be sure to place the songs and the movie on their time, as the songs are a bit dated. Let´s explore another great musical. Across the Universe is a beautiful musical film centered on “The Beatles” songs. “The Beatles” is one of the most famous bands in the world. This movie is about another love story and it has as background the Vietnam War. The story is about Jude (performed by Jim Sturgess) that goes to New Jersey to find his father whom he has never met (Jude is from Liverpool). After reaching his dad, Jude meets Max (performed by Joe Anderson) and Max´s sister, Lucy (performed by Evan Rachel Wood). Knowing that her boyfriend was killed in Vietnam, Lucy decides to stay with Max and Jude. After they started living together, Lucy fell in love with Jude and when Max is sent to Vietnam she becomes an anti-war activist. The story is then centered on their relationship (Jude and Lucy) and on Vietnam War. This movie has also other interesting characters such as Sadie (performed by Dana Fuchs), Jojo (performed by Martin Luther McCoy) and Prudence (performed by Teresa Carpio). “Hey Jude”, “Let it be” and “While my guitar gently weeps” were the songs that I most liked in this musical. The film nine is another great musical! The story is about a film director called Guido Contini (performed by Daniel Day-Lewis – two-times Oscar winner for best actor) that has dramatic relationships with his wife (performed by Marion Cotillard), his mistress (performed by Penélope Cruz), his costume designer and confidant (performed by Judi Dench), his mother (performed by Sophia Loren) and a prostitute (performed by Stacy Ferguson (Fergie) – “Black eyed peas”) and other beautiful female characters. This musical is all about women! One of the scenes that I most like in this movie is performed by Stacy Ferguson with the song “Be Italian”.